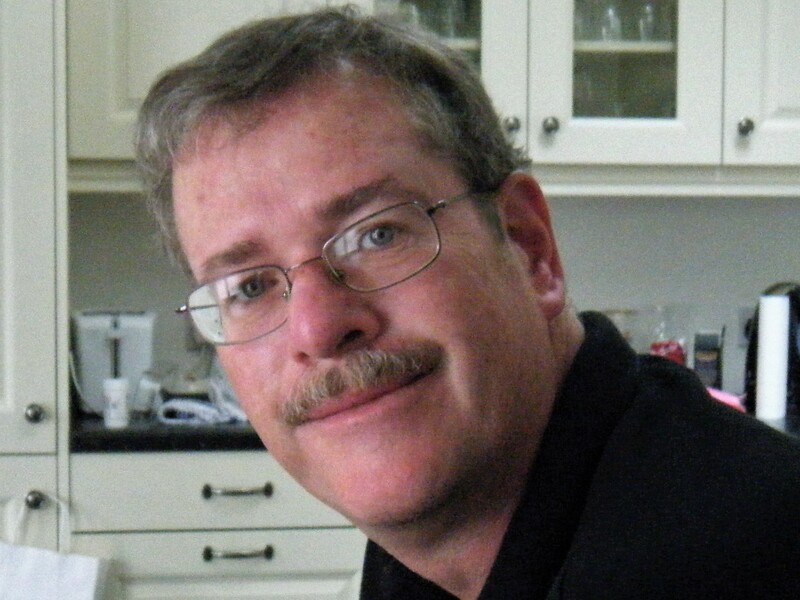 Welcome to my Irish Author blog, Frank. Just to let our readers know, you and I first met several years ago on St. Patrick’s Day in New York city. I remember discussing my ideas for writing a memoir and possibly a sequel or two, with you around three something in the morning in an Irish bar in midtown. FV: A fine day! I march with Sligo every year. I travel a great deal but I’m always in New York for the St. Patrick’s Day Parade. I’m fortunate that my journalism career has allowed me to travel extensively. I’ve been to over 50 countries, many multiple times. I have been all over the USA as well. I think the travel experience lends a level of authenticity to my novel Screamer as I’ve been to all the locales personally. For instance, readers of Screamer might think the magic door in Rome that I write about might be a product of my imagination but I’ve been to it. It’s there in a remote, seldom visited part of the city. A lot of legwork went into the book. I, as have many others, been intrigued by the places you visit and the exotic cars which you drive when you are there? Could you tell us how you discovered this niche and what would be your favourite country and favourite car? I’m thinking that both weren’t necessarily on the same trip. FV: I covered a lot of fields as a journalist. I’ve camped out on the ice in the Arctic. I’ve looked for Cleopatra’s palace in the Bay of Alexandria in Egypt. And I’ve driven a nuclear submarine. I became a motoring correspondent when a travel magazine editor asked me to write about cars in a way that would blend autos and travel. There are lots of great roads in the world but the Autobahn in Germany is memorable as there are sections with no speed limits, although these segments are becoming fewer and shorter. Naming a favorite car is tough as there are so many great ones. Bond moments in an Aston Martin are always fun. But I always say that the car I want in my driveway when the zombies arrive is a Range Rover Discovery for its speed and the ability to drive up the side of a cliff if necessary. I like driving off-road—it’s amazing how nerve-wracking driving really slow can be! I completely agree about Germany’s Autobahn. When I worked for the U.N. in the Balkans in the mid 90’s, I drove a car from Belfast to Bosnia (sounds like a good title for a book!). I got to play on the Autobahn and was amazed by the absence of a speed limit. I was feeling good driving my Vauxhall at 100 mph, until I saw flashing lights behind me – not a cop, but a Porsche showing me that I was driving too slow and to get the hell out of his way! I know that you are a huge proponent of the County Sligo, so no need to ask your favourite Irish County! For those who don’t know, Sligo is just below Donegal, so they are lucky to be so close to our majestic County! Being a frequent visitor to Ireland, where are some of your favourite places? FV: I spend a lot of time in Sligo as it’s both the place where I have family and it’s the principal Irish location for Screamer so I’ve done a lot of gallivanting around there in the name of research. But I’m very fond of Kinsale. And I had a very special Christmas with the family in Ashford Castle one year and that memory prompted the use of it as a Screamer location. And I recently drove the single-track course over the Priest’s Leap mountain pass above Bantry. That was quite the adventure! There are lots of great spots! Your newly released novel; “Screamer” involves a Banshee – well known to all of us in Ireland since childhood. What inspired you to write a story about a banshee and how much research did you conduct in Ireland? FV Yes. Irish folklore was always in the background growing up. Screamer may have started with a solo climb to the top of Knocknashee, “the hill of the fairies,” in the Ox Mountains in Sligo. It’s a fascinating but lonely spot with an old hillfort at the summit. But I spied the jawbone of sheep that looked like a comb and that put me in mind of the banshee’s famous possession. And then I was on hand when Lough Na Suil in Sligo disappeared so my hero’s visit there is pretty much an accurate account of my own. I blended the two experiences to set the story going. But what really drove it was a footnote in a book of medieval history that referenced a fairy hunter. That really got me thinking. I see that you have started writing follow-up articles on all things Banshee related. That is a great idea to keep readers informed. It also strikes me as a sign of a sequel – maybe a series. Would my wondering be headed in the right direction, or are you sworn to secrecy? FV: Yes, I’ve set up a Facebook page for Screamer where I’m posting images of the Irish, American, and Roman locations for the novel And I’m also adding source material. While Screamer is set in the modern day, I think the older the sources for folklore are, the more accurate they might tend to be. The description of the banshee at the novel’s climax is derived from a 14th century text called Triumphs of Turlough written by a Clare historian. I have had hundreds of discussions with Americans regarding Irish topics – everything from the The Troubles to Where and when is the best time to visit Ireland. Do you find that Americans have a good grasp on Banshees and if not, do you feel that they will be intrigued by the subject? I for one, think the idea of a banshee following somebody from Ireland to America makes for a very interesting plot. FV: I’d say most Americans are somewhat aware of what a banshee is but their impressions may have become muddled by media over the years. I’m aware of a comic book character called the banshee that was male and could fly. There is nothing in Irish folklore that would support that notion. Similarly, Disney has portrayed the banshee as a type of ghost but that hardly does her justice. She is far more terrifying in old Irish folklore sources. I have this background as a science journalist so I ask myself if something were to exist, how would that work and is there a possible scientific explanation? So, for example, the banshee does appear as ghost-like image in one scene in Screamer but it’s her manipulation of sonic frequencies and their effect on human eyeballs that accounts for it. But Screamer isn’t exclusively an Irish story. Once in New York, my hero confronts an ancient Dutch demon who last terrorized the city during the American Revolution. So Screamer is very much an Irish-American tale. 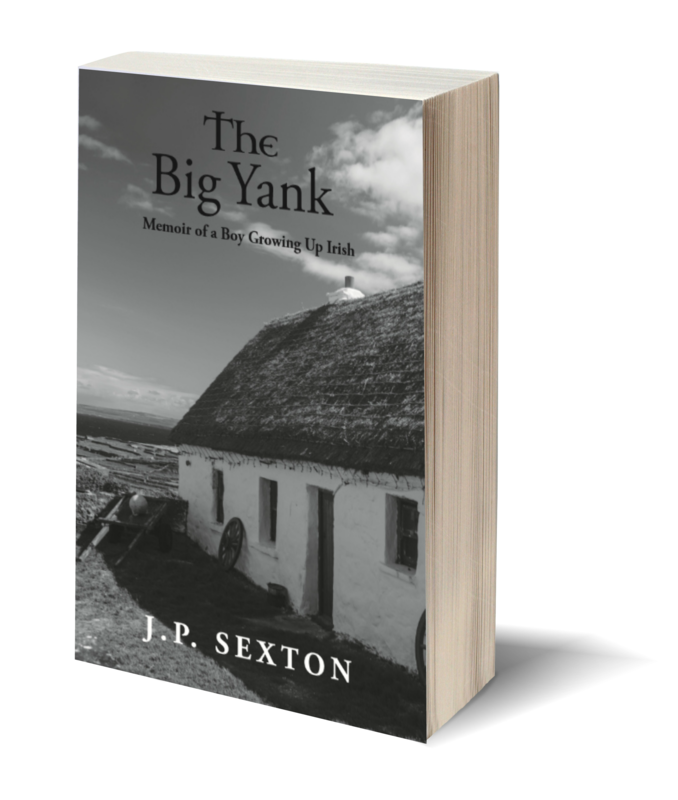 I am working on doing some book signings for my memoir “The Big Yank,” in New York during 2019. Have you any signings or Irish festivals lined up? FV: Not yet but I’m open to invitations. Maybe you’ll save me a chair in New York? A joint signing would be brilliant. I know we’d have a great variety of watering holes in which to unwind as well! You have been published previously – can you tell us a little about the other books? I covered the military for a few years and that led to a co-writing of a book called The 21st Century Soldier. I also wrote about sports science quite a bit and that led to a book called Why A Curveball Curves which garnered nice reviews in Sports Illustrated and the Wall Street Journal. But I have been writing Screamer in my head for a long time so I’m thrilled it’s come to life at last! 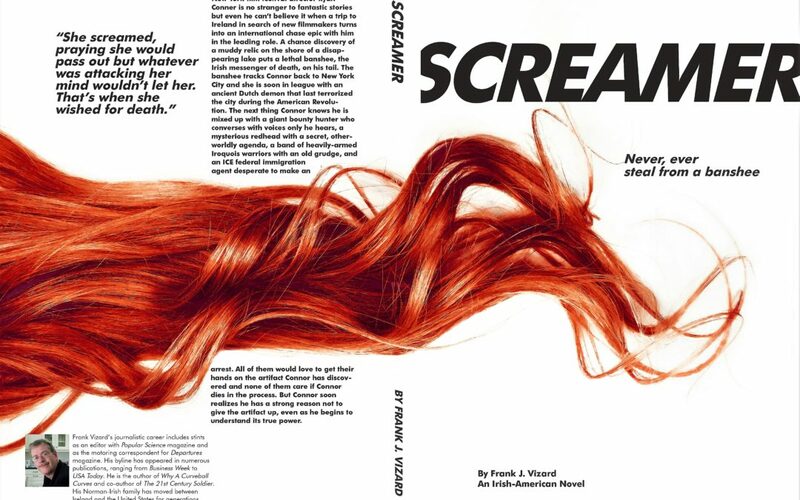 It was only released a few days ago, so “Screamer” is “hot off the press,” as they say! I am sure it will generate great interest and I wish you all the best with it. I look forward to welcoming you back Frank, once the sequel comes out (don’t worry, I didn’t forget how you detoured that question!). in the meantime, slan agus beannacht! FV: Thanks J.P., it was great talking with you. Don’t forget to let me know when you come to New York for your signings. Good luck to you too! Really great interview; I actually learned quite a bit from it, which leads me to believe I will learn even more from reading the book! I am glad you enjoyed the interview Carmel.